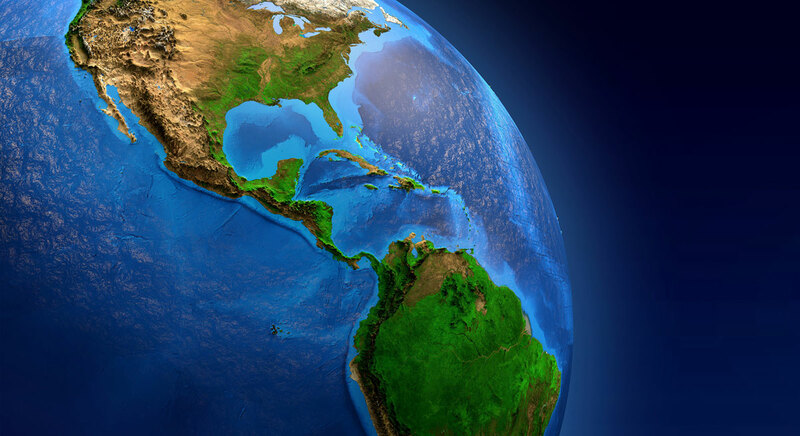 Readers of the Book of Mormon may wonder, at times, where in the Americas the events described took place. Were the Nephites and Lamanites spread throughout both North and South America or did Book of Mormon events occur within a more confined area? Where did Lehi’s ship land? Where were famous Book of Mormon cities, like Zarahemla and Bountiful, or the epic battlefields of the Nephites and Lamanites, such as Cumorah? Interest in answering these questions began almost immediately after the Book of Mormon was published. Only months later, a group of missionaries, including Oliver Cowdery, were apparently telling people in Ohio that Lehi “landed on the coast of Chile.” A couple of years later, W. W. Phelps linked the land of Desolation to the mid-western United States, ranging from the Mississippi to the Rocky Mountains. The next year, Phelps got ahold of reports about ancient ruins in Guatemala with stones “cemented by mortar,” and argued that this find was “good testimony in favor of the Book of Mormon,” specifically the account in Helaman 3:3–11. Years later, Joseph Smith received a book on Central American ruins as a gift. In a letter thanking the giver, he stated that it “corresponds with & supports the testimony of the Book of Mormon.” In 1842, while Joseph Smith was the editor, the Times and Seasons published several articles highlighting ruins in Central America as evidence for the Book of Mormon. Like his peers, the Prophet evidently believed that all ancient ruins and artifacts spanning across the American continents were evidence of Book of Mormon lands and peoples. 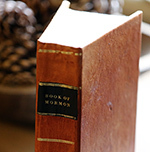 Although most early Latter-day Saints had a hemispheric understanding of Book of Mormon geography, there was no universally accepted model of Book of Mormon lands, and different opinions persisted about several topics. For example, while the idea that Lehi landed in Chile would grow to become a widespread tradition in the Church, under Joseph Smith’s editorship, the Times and Seasons stated that Lehi “landed a little south of the Isthmus of Darien,” that is, just south of Panama. In 1842, Parley P. Pratt seemed to place Desolation in Central America, contrary to Phelps earlier identification. The number of maps has only grown over the course of the 20th and into the 21st century as many have continued to propose various models. While questions of geography are far from settled, our understanding of the book’s physical setting has improved thanks to the increasingly more rigorous work of many scholars interested in questions of Book of Mormon geography. For example, today most proposals focus only on a specific area or region of the American continent, because more careful study has made it clear that the scope of Book of Mormon lands must be limited. The fact is, the Book of Mormon does not give us precise and definite information whereby we can locate those places with certainty. I encourage and recommend all possible investigation, comparison and research in this matter. The more thinkers, investigators, workers we have in the field the better; but our brethren who devote themselves to that kind of research should remember that they must speak with caution and not declare as demonstrated truths points that are not really proved. Matthew Roper, “Limited Geography and the Book of Mormon: Historical Antecedents and Early Interpretations,” FARMS Review 16, no. 2 (2004): 225–275. John E. Clark, “Book of Mormon Geography,” in Encyclopedia of Mormonism, 4 vols., ed. Daniel H. Ludlow (New York, NY: Macmillan Publishing, 1992), 1:176–179. “The Golden Bible, or, Campbellism Improved,” Observer and Telegraph (Hudson, Ohio), November 18, 1830, spelling modernized. W. W. Phelps, “The Far West,” The Evening and the Morning Star 1, no. 5, October 1832. W. W. Phelps, “Discovery of Ancient Ruins in Central America,” The Evening and the Morning Star, 1, no. 9, February 1833; spelling and capitalization altered. Joseph Smith to Emma Smith, June 4, 1834, pp. 57–58, online at josephsmithpapers.org. Many historians believe this is alluding to the Zelph incident. For more information, see Book of Mormon Central, “Who Was Zelph? (Helaman 6:6),” KnoWhy 336 (July 7, 2017). Joseph Smith to John M. Berhnisel, November 16, 1841, online at josephsmithpapers.org. See Matthew Roper, “John Bernhisel’s Gift to a Prophet: Incidents of Travel in Central America and the Book of Mormon,” Interpreter: A Journal of Mormon Scripture 16 (2015): 207–253. “Traits of the Mosaic History, Found among the Azteca Nations,” Times and Seasons 3, no. 16, June 15, 1842, 818–820; “American Antiquities,” Times and Seasons 3, no. 18, July 15, 1842, 858–860; “Extract from Stephens’ ‘Incidents of Travel in Central America’,” Times and Seasons 3, no. 22, September 15, 1842, 911–915; “Facts are Stubborn Things,” Times and Seasons 3, no. 22, September 15, 1842, 921–922; “Zarahemla,” Times and Seasons 3, no. 23, October 1, 1842, 927–928. Motivated by geographical theories which are contradicted by these articles, some have tried to distance Joseph Smith from their authorship and publication. Both historical and statistical analysis, however, strongly support Joseph’s involvement with these articles. See Matthew Roper, “Joseph Smith, Revelation, and Book of Mormon Geography,” FARMS Review 22, no. 2 (2010): 70–83; Matthew Roper, Paul J. Fields, Atul Nepal, “Joseph Smith, the Times and Seasons, and Central American Ruins,” Journal of Book of Mormon and Other Restoration Scripture 22, no. 2 (2013): 84–97; Neal Rappleye, “‘War of Words and Tumult of Opinions’: the Battle for Joseph Smith’s Words in Book of Mormon Geography,” Interpreter: A Journal of Mormon Scripture 11 (2014): 37–95; Matthew Roper, “Joseph Smith, Central American Ruins, and the Book of Mormon,” in Approaching Antiquity: Joseph Smith and the Ancient World, ed. Lincoln Blumell, Matthew J. Grey, and Andrew H. Hedges (Salt Lake City and Provo, UT: Deseret Book and BYU Religious Studies Center, 2015), 141–162; Matthew Roper, Paul Fields, and Larry Bassist, “Zarahemla Revisited: Neville’s Newest Novel,” Interpreter: A Journal of Mormon Scripture 17 (2016): 13–61. The popularity of this tradition was largely due to Orson Pratt and Fredrick G. Williams. Orson Pratt was heard teaching that Lehi “came across the water into South America” as early as 1832. See B. Stokely, “The Orators of Mormon,” Catholic Telegraph 1, April 14, 1832. Pratt’s views on Book of Mormon geography became widespread and influential with the release of the 1879 edition of the Book of Mormon, which included footnotes, written by Pratt, making external correlations to Book of Mormon places. In a footnote to the phrase “we did arrive to the promised land” in 1 Nephi 18:23, Pratt noted, “believed to be on the coast of Chile, S. America” (spelling modernized). See Joseph Smith Jr., trans., The Book of Mormon: An Account Written by the Hand of Mormon (Liverpool, Eng. : William Budge, 1879), 47. Fredrick G. Williams copied a highly specific statement that Lehi landed “in Chile thirty degrees south Latitude” (spelling modernized), which later was believed to be a revelation from Joseph Smith. The actual origins of the statement, however, are murky and unclear. See Fredrick G. Williams III, “Did Lehi Land in Chile? An Assessment of the Frederick G. Williams Statement,” FARMS Preliminary Report (1988); Frederick G. Williams, “Did Lehi Land in Chile?,” in Reexploring the Book of Mormon: A Decade of New Research, ed. John W. Welch (Salt Lake City and Provo, UT: Deseret Book and FARMS, 1992), 57–61. “Facts are Stubborn Things,” Times and Seasons, 3, no. 22, September 15, 1842, 922. Parley P. Pratt, “Ruins in Central America,” Latter-day Saints’ Millennial Star 2, no. 11, March 1842, 161–165. Matthew Roper, “Limited Geography and the Book of Mormon: Historical Antecedents and Early Interpretations,” FARMS Review 16, no. 2 (2004): 225–275, esp. pp. 254–255. George Q. Cannon, “Editorial Thoughts: The Book of Mormon Geography,” Juvenile Instructor 25, no. 1 (1890): 18. For comparison of 60 different proposals, see John L. Sorenson, The Geography of the Book of Mormon Events: A Source Book (Provo, UT: FARMS, 1992), 37–206. See John L. Sorenson, Mormon’s Map (Provo, UT: FARMS, 2000), 55–81. Already in 1903, some were disputing proposals for Book of Mormon geography on the grounds that “students could not reconcile the statements as to time consumed in traveling from one place to another with Zarahemla being at the point claimed by him.” See “Book of Mormon Students Meet: Interesting Convention Held in Provo Saturday and Sunday,” Deseret Evening News, May 25, 1903; reprinted in Journal of Book of Mormon Studies 22, no. 2 (2013): 109. In 1909, B. H. Roberts suggested, “the physical description relative to the contour of the lands occupied by the Jaredites and Nephites … can be found between Mexico and Yucatan with the Isthmus of Tehuantepec between,” but ultimately continued to promote a hemispheric view. B. H. Roberts, New Witnesses for God, 3 vols. (Salt Lake City, UT: Deseret News, 1909), 3:502–503. Even in the 19th century, there was precedent for limiting the scope of Book of Mormon geography. See Roper, “Limited Geography,” 242–255, 260–265. See Roper, “Limited Geography,” 255–260; “Is there a revealed Book of Mormon geography?” FairMormon AnswersWiki, online at fairmormon.org. In a Fax sent from the office of the First Presidency, April 23, 1993, F. Michael Watson—then secretary to the First Presidency, said, “While some Latter-day Saints have looked for possible locations and explanations [for Book of Mormon geography] because the New York Hill Cumorah does not readily fit the Book of Mormon description of Cumorah, there are no conclusive connections between the Book of Mormon text and any specific site.” See “Did the First Presidency identify the New York ‘Hill Cumorah’ as the site of the Nephite final battles?” FairMormon AnswersWiki, online at fairmormon.org. Elder John A. Widtsoe, of the Quorum of the Twelve and President Harold B. Lee also considered the location of the final Nephite battles an open question. See John A. Widtsoe, “Evidences and Reconciliations: Is Book of Mormon Geography Known?,” Improvement Era 53, no. 7 (July 1950): 547; Harold B. Lee, “Loyalty,” address to religious educators, 8 July 1966; in Charge to Religious Educators, 2nd ed. (Salt Lake City: Church Educational System and the Church of Jesus Christ of Latter-day Saints, 1982), 65; quoted online at fairmormon.org. See also David A. Palmer, “Cumorah,” in Encyclopedia of Mormonism, 4 vols., ed. Daniel H. Ludlow (New York, NY: Macmillan Publishing, 1992), 1:346–347; Rex C. Reeve Jr., “Cumorah, Hill” in Book of Mormon Reference Companion, ed. Dennis L. Largey (Salt Lake City, UT: Deseret Book, 2003), 222–224. Widtsoe, “Is Book of Mormon Geography Known?,” 547. Cannon, “Book of Mormon Geography,” 19. I too, wish that this article was based on more research and really looked at the primary source, the Book of Mormon and what it has to say about the "Promised Land." Sorry, I feel that this article falls short. I do feel that there is a feeling that as more research comes forth that minds will be opened to the truth about the Place!